This Ordinance applies to residences within the city of Chicago only. Please see the Exceptions to the RLTO to ensure the law applies to you. For tenants in suburban Chicagoland, please click here for the law as it applies in your town. For specific advice on your situtation, you can call our free tenants rights hotline at 773.292.4988 Monday – Friday, 1 – 5pm or email your question to us here. 5-12-010 Title, Purpose And Scope. This chapter shall be known and may be cited as the “Residential Landlord and Tenant Ordinance”, and shall be liberally construed and applied to promote its purposes and policies. It is the purpose of this chapter and the policy of the city, in order to protect and promote the public health, safety and welfare of its citizens, to establish the rights and obligations of the landlord and the tenant in the rental of dwelling units, and to encourage the landlord and the tenant to maintain and improve the quality of housing. (c) housing accommodations in any hospital, convent, monastery, extended care facility, asylum or not-for-profit home for the aged, temporary overnight shelter, transitional shelter, or in a dormitory owned and operated by an elementary school, high school or institution of higher learning; student housing accommodations wherein a housing agreement or housing contract is entered into between the student and an institution of higher learning or student housing wherein the institution exercises control or supervision of the students; or student housing owned and operated by a tax exempt organization affiliated with an institution of higher learning. thereof, including garage and parking facilities. (b) “Landlord” means the owner, agent, lessor or sublessor, or the successor m interest of any of them, of a dwelling unit or the building of which it is part. (c) “Owner” means one or more persons, jointly or severally, in whom is vested all or part of the legal title to property, or all or part of the beneficial ownership and a right to present use and enjoyment of the premises, including a mortgagee in possession. (d) “Person” means an individual, corporation, government, governmental subdivision or agency, business trust, estate, trust, partnership or association or any other legal or commercial entity. (e) “Premises” means the dwelling unit and the structure of which it is a part, and facilities and appurtenances therein, and grounds, areas and facilities held out for the use of tenants. (f) “Rent” means any consideration, including any payment, bonus, benefits or gratuity, demanded or received by a landlord for or in connection with the use or occupancy of a dwelling unit. (g) “Rental agreement” means all written or oral agreements embodying the terms and conditions concerning the use and occupancy of a dwelling unit. (h) “Successor landlord” means any person who follows a landlord in ownership or control of a dwelling unit or the building of which it is part, and shall include a lienholder who takes ownership or control either by contract, operation of law or a court order. However, a “successor landlord” shall not include a receiver pursuant to a court order. (g) conduct himself and require other persons on the premises with his consent to conduct themselves in a manner that will not disturb his neighbors’ peaceful enjoyment of the premises. 5-12-050 Landlord’s Right Of Access. (h) in case of emergency. The landlord shall not abuse the right of access or use it to harass the tenant Except in cases where access is authorized by subsection (f) or (h) of this section, the landlord shall give the tenant notice of the landlord’s intent to enter of no less than two days. Such notice shall be provided directly to each dwelling unit by mail, telephone, written notice to the dwelling unit, or by other reasonable means designed in good faith to provide notice to the tenant. If access is required because of repair work or common facilities or other apartments, a general notice may be given by the landlord to all potentially affected tenants that entry may be required. In cases where access is authorized by subsection (f) or (h) of this section, the landlord may enter the dwelling unit without notice or consent of the tenant. The landlord shall give the tenant notice of such entry within two days after such entry. 5-12-060 Remedies For Improper Denial Of Access. If the tenant refuses to allow lawful access, the landlord may obtain injunctive relief to compel access or terminate the rental agreement pursuant to Section 5-12-130(b) of this chapter. In either case, the landlord may recover damages. 5-12-070 Landlord’s Responsibility To Maintain. The landlord shall maintain the premises in compliance with all applicable provisions of the municipal code and shall promptly make any and all repairs necessary to fulfill this obligation. (e) In the event of a sale, lease, transfer of ownership or control or other direct or indirect disposition of residential real property by a landlord who has received a security deposit or prepaid rent from a tenant, the successor landlord of such property shall be liable to that tenant for any security deposit, including statutory interest, or prepaid rent which the tenant has paid to the transferor. 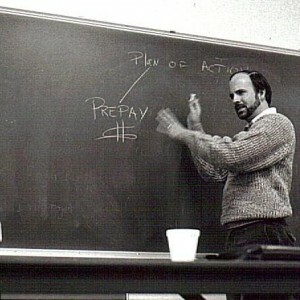 The transferor shall remain jointly and severally liable with the successor landlord to the tenant for such security deposit or prepaid rent, unless and until such transferor transfers said security deposit or prepaid rent to the successor landlord and provides notice, in writing, to the tenant of such transfer of said security deposit or prepaid rent, specifying the name, business address and business telephone number of the successor landlord or his agent within 10 days of said transfer. (ii) provide to the tenant a written response which sets forth an explanation of how the interest paid was calculated. 5-12-081 Interest Rate On Security Deposits. 5-12-090 Identification Of Owner And Agents. (b) a person authorized to act for and on behalf of the owner for the purpose of service of process and for the purpose of receiving and receipting for notices and demands. A person who enters into a rental agreement and fails to comply with the requirements of this section becomes an agent of the landlord for the purpose of (i) service of process and receiving and receipting for notices and demands and (ii) performing the obligations of the landlord under this chapter under the rental agreement. The information required to be furnished by this section shall be kept current and this section extends to and is enforceable against any successor landlord, owner or manager. 5-12-095 Tenants’ Notification of Foreclosure Action. (a) Within seven (7) days of being served a foreclosure complaint, as defined in 735 ILCS 5/15-1504, an owner or landlord of a premises that is the subject of the foreclosure complaint shall disclose, in writing, to all tenants of the premises that a foreclosure action has been filed against the owner or landlord. An owner or landlord shall also disclose, in writing, the notice of foreclosure to any other third party who has a consistent pattern and practice of paying rent to the owner or landlord on behalf of a tenant. Before a tenant initially enters into a rental agreement for a dwelling unit, the owner or landlord shall also disclose, in writing, that he is named in a foreclosure complaint. 5-12-100 Notice Of Conditions Affecting Habitability. In addition to any remedies provided under federal law, a tenant shall have the remedies specified in this section under the circumstances herein set forth. failure to maintain the dwelling unit and common areas in a fit and habitable condition. (a) Noncompliance By Landlord. If there is material noncompliance by the landlord with a rental agreement or with Section 5-12-070 either of which renders the premises not reasonably fit and habitable, the tenant under the rental agreement may deliver a written notice to the landlord specifying the acts and/or omissions constituting the material noncompliance and specifying that the rental agreement will terminate on a date not less than 14 days after receipt of the notice by the landlord, unless the material noncompliance is remedied by the landlord within the time period specified in the notice. If the material noncompliance is not remedied within the time period so specified in the notice, the rental agreement shall terminate, and the tenant shall deliver possession of the dwelling unit to the landlord within 30 days after the expiration of the time period specified in the notice. If possession shall not be so delivered, then the tenant’s notice shall be deemed withdrawn and the lease shall remain in full force and effect. If the rental agreement is terminated, the landlord shall return all prepaid rent, security and interest recoverable by the tenant under Section 5-12-080. (2) demand performance of the rental agreement by the landlord and, if the tenant elects, maintain an action for possession of the dwelling unit against the landlord or any person wrongfully in possession and recover the damages sustained by him. If a person’s failure to deliver possession is wilful, an aggrieved person may recover from the person withholding possession an amount not more than two months’ rent or twice the actual damages sustained by him, whichever is greater. (c) Minor Defects. If there is material noncompliance by the landlord with the rental agreement or with Section 5-12-070, and the reasonable cost of compliance does not exceed the greater of $500.00 or one-half of the monthly rent, the tenant may recover damages for the material noncompliance or may notify the landlord in writing of his intention to correct the condition at the landlord’s expense; provided, however, that this subsection shall not be applicable if the reasonable cost of compliance exceeds one month’s rent. If the landlord fails to correct the defect within 14 days after being notified by the tenant in writing or as promptly as conditions require in case of emergency, the tenant may have the work done in a workmanlike manner and in compliance with existing law and building regulations and, after submitting to the landlord a paid bill from an appropriate tradesman or supplier, deduct from his or her rent the amount thereof, not to exceed the limits specified by this subsection and not to exceed the reasonable price then customarily charged for such work. A tenant shall not repair at the landlord’s expense if the condition was caused by the deliberate or negligent act or omission of the tenant, a member of the tenant’s family, or other person on the premises with the tenant’s consent. Before correcting a condition affecting facilities shared by more than one dwelling unit, the tenant shall notify all other affected tenants and shall cause the work to be done so as to create the least practical inconvenience to the other tenants. Nothing herein shall be deemed to grant any tenant any right to repair any common element or dwelling unit in a building subject to a condominium regime other than in accordance with the declaration and bylaws of such condominium building; provided, that the declaration and bylaws have not been created to avoid the application of this chapter. For purposes of mechanics’ lien laws, repairs performed or materials furnished pursuant to this subsection shall not be construed as having been performed or furnished pursuant to authority of or with permission of the landlord. (d) Failure To Maintain. If there is material noncompliance by the landlord with the rental agreement or with Section 5-12-070, the tenant may notify the landlord in writing of the tenant’s intention to withhold from the monthly rent an amount which reasonably reflects the reduced value of the premises due to the material noncompliance. If the landlord fails to correct the condition within 14 days after being notified by the tenant in writing, the tenant may, during the time such failure continues, deduct from the rent the stated amount. A tenant shall not withhold rent under this subsection if the condition was caused by the deliberate or negligent act or omission of the tenant, a member of the tenant’s family, or other person on the premises with the tenant’s consent. (e) Damages And Injunctive Relief. If there is material noncompliance by the landlord with the rental agreement or with Section 5-12-070, the tenant may obtain injunctive relief, and/or recover damages by claim or defense. This subsection does not preclude the tenant from obtaining other relief to which he may be entitled under this chapter. (3) procure substitute housing, in which case the tenant is excused from paying rent for the period of the landlord’s noncompliance. The tenant may recover the cost of the reasonable value of the substitute housing up to an amount equal to the monthly rent for each month or portion thereof of noncompliance as prorated. (5) terminate the rental agreement by written notice to the landlord if the material noncompliance or failure persists for more than 72 hours after the tenant has notified the landlord of the material noncompliance or failure; provided, however, that no termination shall be allowed if the failure is due to the inability of the utility provider to provide service. If the rental agreement is terminated, the landlord shall return all prepaid rent, security deposits and interest thereon in accordance with Section 5-12-080 and tenant shall deliver possession of the dwelling unit to the landlord within 30 days after the expiration of the 72 hour time period specified in the notice. If possession shall not be so delivered, then the tenant’s notice shall be deemed withdrawn and the lease shall remain in full force and effect. If the tenant proceeds under this subsection (f), he may not proceed under subsection (c) or (d). The tenant may not exercise his rights under this subsection if the condition was caused by the deliberate or negligent act or omission of the tenant, a member of his family, or other person on the premises with his consent. Before correcting a condition, the repair of which will affect more than his own dwelling unit, the tenant shall notify all other tenants affected and shall cause the work to be done so as to result in the least practical inconvenience to other tenants. (3) if the tenant desires to continue the tenancy, and if the landlord has promised or begun work to repair the damage or destruction but fails to carry out the work to restore the dwelling unit or common area diligently and within a reasonable time, notify the landlord in writing within 14 days after the tenant becomes aware that the work is not being carried out diligently or within a reasonable time of the tenant’s intention to terminate the rental agreement, m which case the rental agreement terminates as of the date of the fire or casualty. If the tenant terminates the rental agreement prior to its expiration date, except for cause authorized by this chapter, the landlord shall make a good faith effort to re-rent the tenant’s dwelling unit at a fair rental, which shall be the rent charged for comparable dwelling units in the premises or in the same neighborhood. The landlord shall accept a reasonable sublease proposed by the tenant without an assessment of additional fees or charges. (a) Failure To Pay Rent. If all or any portion of rent is unpaid when due and the tenant fails to pay the unpaid rent within five days after written notice by the landlord of his intention to terminate the rental agreement if rent is not so paid, the landlord may terminate the rental agreement. Nothing in this subsection shall affect a landlord’s obligation to provide notice of termination of tenancy in subsidized housing as required under federal law or regulations. A landlord may also maintain an action for rent and/or damages without terminating the rental agreement. (b) Noncompliance By Tenant. If there is material noncompliance by a tenant with a rental agreement or with Section 5-12-040, the landlord of such tenant’s dwelling unit may deliver written notice to the tenant specifying the acts and/or omissions constituting the breach and that the rental agreement will terminate upon a date not less than 10 days after receipt of the notice, unless the breach is remedied by the tenant within that period of time. If the breach is not remedied within the 10 day period, the residential rental agreement shall terminate as provided in the notice. The landlord may recover damages and obtain injunctive relief for any material noncompliance by the tenant with the rental agreement or with Section 5-12-040. If the tenant’s noncompliance is wilful, the landlord may also recover reasonable attorney’s fees. (c) Failure To Maintain. If there is material noncompliance by the tenant with Section 5-12-040 (other than subsection (g) thereof), and the tenant fails to comply as promptly as conditions permit in case of emergency or in cases other than emergencies within 14 days of receipt of written notice by the landlord specifying the breach and requesting that the tenant remedy it within that period of time, the landlord may enter the dwelling unit and have the necessary work done in the manner required by law. The landlord shall be entitled to reimbursement from the tenant of the costs of repairs under this section. (d) Disturbance Of Others. If the tenant violates Section 5-12-040(g) within 60 days after receipt of a written notice as provided in subsection (b), the landlord may obtain injunctive relief against the conduct constituting the violation, or may terminate the rental agreement on 10 days written notice to the tenant. (3) all persons entitled under a rental agreement to occupy the dwelling unit have been absent from the unit for a period of 32 days, and rent for that period is unpaid. Notwithstanding the above, abandonment of the dwelling unit shall not be deemed to have occurred if any person entitled to occupancy has provided the landlord a written notice indicating that he still intends to occupy the unit and makes full payment of all amounts due to the landlord. If the tenant abandons the dwelling unit, the landlord shall make a good faith effort to re-rent it at a fair rental, which shall be the rent charged for comparable dwelling units in the premises or in the same neighborhood. If the landlord succeeds in re-renting the dwelling unit at a fair rental, the tenant shall be liable for the amount by which the rent due from the date of abandonment to the termination of the initial rental agreement exceeds the fair rental subsequently received by the landlord from the date of abandonment to the termination of the initial rental agreement. If the landlord makes a good faith effort to re-rent the dwelling unit at a fair rental and is unsuccessful, the tenant shall be liable for the rent due for the period of the rental agreement. The tenant shall also be liable for the reasonable advertising expenses and reasonable redecoration costs incurred by the landlord pursuant to this subsection. (f) Disposition of Abandoned Property. If the tenant abandons the dwelling unit as described in subsection (e) hereof, or fails to remove his personal property from the premises after termination of a rental agreement, the landlord shall leave the property in the dwelling unit or remove and store all abandoned property from the dwelling unit and may dispose of the property after seven days. Notwithstanding the foregoing, if the landlord reasonably believes such abandoned property to be valueless or of such little value that the cost of storage would exceed the amount that would be realized from sale, or if such property is subject to spoilage, the landlord may immediately dispose of such property. (g) Waiver of Landlord’s Right to Terminate. If the landlord accepts the rent due knowing that there is a default in payment of rent by the tenant, he thereby waives his right to terminate the rental agreement for that breach. (h) Remedy after Termination. If the rental agreement is terminated, the landlord shall have a claim for possession and/or for rent. (i) agrees that, if a tenant pays rent before a specified date or within a specified time period in the month, the tenant shall receive a discount or reduction in the rental amount in excess of $10.00 per month for the first $500.00 in monthly rent plus 5% per month for any amount in excess of $500.00 in monthly rent. 5-12-150 Prohibition On Retaliatory Conduct By Landlord. (g) exercised any right or remedy provided by law. If the landlord acts in violation of this section, the tenant has a defense in any retaliatory action against him for possession and is entitled to the following remedies: he shall recover possession or terminate the rental agreement and, in either case, recover an amount equal to and not more than two months rent or twice the damages sustained by him, whichever is greater, and reasonable attorney’s fees. If the rental agreement is terminated, the landlord shall return all security and interest recoverable under Section 5-12-080 and all prepaid rent. In an action by or against the tenant, if there is evidence of tenant conduct protected herein within one year prior to the alleged act of retaliation, that evidence shall create a rebuttable presumption that the landlord’s conduct was retaliatory. The presumption shall not arise if the protected tenant activity was initiated after the alleged act of retaliation. 5-12-160 Prohibition On Interruption Of Tenant Occupancy By Landlord. (d) the tenant has abandoned the dwelling unit, as defined in Section 5-12-130(e). 5-12-170 Summary Of Ordinance Attached To Rental Agreement. The commissioner of the department of housing shall prepare a summary of this chapter, describing the respective rights, obligations and remedies of landlords and tenants hereunder, and shall make such summary available for public inspection and copying. The commissioner shall also, after the city comptroller has announced the rate of interest on security deposits on the first business day of the year, prepare a separate summary describing the respective rights, obligations and remedies of landlords and tenants with respect to security deposits, including the new interest rate as well as the rate for each of the prior two years. The commissioner shall also distribute the new rate of security deposit interest, as well as the rate for each of the prior two years, through public service announcements to all radio and television outlets broadcasting in the city. A copy of such summary shall be attached to each written rental agreement when any such agreement is initially offered to any tenant or prospective tenant by or on behalf of a landlord and whether such agreement is for a new rental or a renewal thereof. Where there is an oral agreement, the landlord shall give to the tenant a copy of the summary. Except in cases of forcible entry and detainer actions, the prevailing plaintiff in any action arising out of a landlord’s or tenant’s application of the rights or remedies made available in this ordinance shall be entitled to all court costs and reasonable attorney’s fees; provided, however, that nothing herein shall be deemed or interpreted as precluding the awarding of attorney’s fees in forcible entry and detainer actions in accordance with applicable law or as expressly provided in this ordinance. 5-12-190 Rights And Remedies Under Other Laws. Bed bugs are small, wingless insects that feed on the blood of warm-blooded animals. 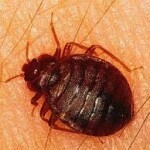 Bed bugs prefer human blood, but can also feed on pets if people aren’t present. Are bed bugs disease carriers? There isn’t any medical evidence that bed bugs pose any sort of health risk. Some people do, however, experience mild reactions to their bites. It is also possible for the bites to result in secondary infections if scratched. A bed bug infestation is not an indicator of a lack of cleanliness. Bed bugs feed on blood and are attracted to CO2. They may have hitchhiked onto your belongings and into your home or, if you live in a multi-unit building, they may have traveled from an adjacent unit. So, there really isn’t any link between bed bugs and sanitation? None. Bed bugs are not attracted to filth nor do they feed on it. However, reducing clutter is extremely important as clutter can provide hiding space for bed bugs. Bed bugs will thrive in cluttered environments because the effectiveness of your pest control plan will be limited. I have a bed bug infestation. What do I do? -Reduce clutter in the home. These are safe havens for bed bugs. -Wash clothes in hot water and dry in high heat for a minimum of 20 minutes. -Do not apply pesticides on your own. Applying pesticides should be left to licensed pest control professionals. -Never use bug bombs or total release foggers. These can worsen the infestation and are extremely harmful to your health. -Steam clean your bed and other furniture at a heat of 120 degrees or more. -Encase your mattress and box spring with bed bug proof mattress protectors. -Do not apply pesticides to your bed or other furniture. Pesticides are often harmful to people. -Do not throw away your furniture until a pest control professional tells you that it can’t be salvaged. -If you must throw away your bed or other furniture, please dispose responsibly. Render the furniture unusable by slashing all sides or spray paint “bed bugs” in large letters. Remember, bed bugs and their eggs absolutely cannot survive temperatures higher than 130 degrees Fahrenheit. Is my landlord responsible for ridding my unit of bed bugs? On June 5, 2013 Chicago alderman passed an ordinance on bed bug control. The ordinance requires eradication to be performed by a pest control professtional as many times as necessary to eliminate the reported problem. Click here to read the full ordinance. 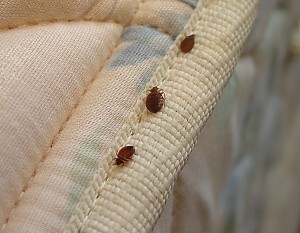 The Chicago Bed Bug Ordinance also mandates the disposal of bedding, clothing, furnishings or other infested materials. For example, you may not place, discard or dispose of any bedding, clothing or furnishings infested on the public way (i.e. dumpsters, sidewalks, hallways). To get rid of infested items, you must enclose the item in a plastic bag and label it as infested. Doing so should prevent neighbors from bringing to their home infested items, therefore stalling the spread of bed bugs. The ordinance will be enforced by the Department of Buildings and the Department of Public Health. If any person is found violating the ordinance, that person may be fined $300.00 to $1,000 per day for each offense. By complying with the ordinance, these fees can be avoided. The full ordinance can be found atwww.cityofchicago.org. You can make a request for a City inspector here. My landlord won’t accept responsibility. What should I do? You can call MTO’s Tenants’ Rights Hotline to speak with a hotline counselor about your situation. The hotline is open Monday through Friday, 1pm – 5pm. If you live in a building with 12 or more units and other renters in the building are living with bed bugs, you may also request a visit from an organizer who can assist you in getting your requests met by your landlord. Learn more about tenant remedies for pest infestation here. Have bed bugs in your apartment building? What is your landlord doing about it? Learn about bed bugs, credit repair, foreclosure, repair issues, housing subsidies and more. 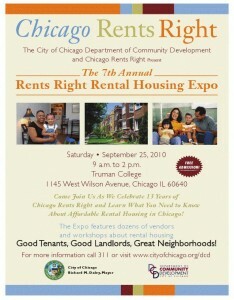 Come join us Saturday September 25th from 9am- 2pm at Truman College, 1145 W. Wilson Ave., for the cities largest rental housing expo, hosted by “Chicago Rents Right”. The highlight of the expo will be the workshops that will be put on by various organizations including workshops on bed bugs, building code violations, reasonable accommodations for the disabled, subsidized housing, foreclosures, credit repair, updates on the amended Residential Landlord Tenant Ordinance, and even workshops for condo board associations. There will be translators available for Spanish speaking tenants. There will be counselors who specialize in foreclosure prevention and general landlord/tenant questions. One of the most essential workshops this year will be on the subject of bed bugs. Nationwide, Chicago is one of the top 5 cities being hit by the bed bug epidemic. The workshop on bedbugs will be useful for those who are trying to get rid of bed bugs and useful for those trying to avoid getting bed bugs. If Chicago is going to be successful in doing away with this epidemic it will have to be done by those educated on how to effectively exterminate bed bugs AND citizens educated on how to stop the further spread of bed bugs. “Chicago Rents Right” is a program of the Chicago Department of Community Development, and has a committee comprised of local community organizations, including Metropolitan Tenants Organization, with a common goal of helping tenants and/or landlords. Admission to the event and workshops is free. 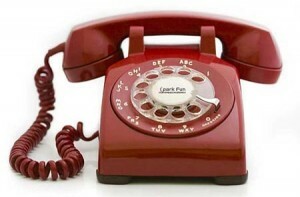 The Hotline has served as MTO’s eyes and ears into the lives of renters. Since its inception in 1994, the MTO Hotline has fielded more than 150,000 calls, carefully collecting information and tracking data on housing issues. In collecting this data, Hotline counselors have spent thousands of hours listening to the stories told by Chicago’s renters. The story of renters in Chicago is that they are increasingly facing unpredictability in the rental housing market, financial stress, and deteriorated living conditions. Their lives are and have been in tumult for years. Above is an except from the State of the Renter report issued by MTO in 2009. For too long, the needs of renters – invaluable investors in our communities – have been marginalized in favor of a policy that focuses only on homeownership. Renters have been regarded as transient occupants rather than stakeholders. MTO recommends a national housing policy that balances homeownership and rental housing. Policy makers have failed to recognize the importance of a stable rental housing market and certainly have an insufficient understanding of the issues facing renters. An executive summary of the State of the Renter report can be found here. For the full report, click here. We always welcome feedback. Please feel free to leave comments or questions in the space provided at the bottom of this page. NOTE: If your landlord lives in your building, see the “Exceptions” note on the right side of this page. What is my landlord responsible for? Terminate your lease agreement. This pamphlet explains when and how you can do these things. What must my landlord do to maintain the condition of my apartment? Comply with all other requirements of Chicago’s Municipal Code. If my landlord doesn’t make necessary repairs, can I use my rent to pay for these repairs? First you must give your landlord a written notice stating that, unless she makes the necessary repairs within 14 days, you will make them yourself and deduct their cost from your rent. Keep a copy of the notice. If your landlord doesn’t make the necessary repairs within 14 days of receiving the notice, you can make the repairs or pay someone else to do it. After giving your landlord paid receipts to confirm the cost of repair, you can deduct this cost from your rent. See sample letter here. What if I want to repair a problem in a common area, such as a stairway or hallway? You must first give all of the other tenants written notice of your plan to make the repair. If my landlord doesn’t make necessary repairs, can I withhold a portion of my rent? Yes, but first give your landlord a written notice stating that, unless she makes the necessary repairs within 14 days, you will withhold a certain portion of your monthly rent payments. NOTE: You cannot withhold a portion of your rent and “repair and deduct” in the same month. If I decide to withhold a portion of my rent, exactly how much should I withhold? The amount you withhold must reasonably reflect the reduced value of your apartment. Be conservative. You cannot withhold all your rent unless your apartment is in such bad shape that you must move, and you can rarely withhold as much as 50%. If you withhold too much, your landlord may be able to evict you for nonpayment of rent. To be safe, consult with an attorney. See “rent reduction” sample letter here. Can I terminate my lease because my landlord has failed to make necessary repairs? Yes, but only in very serious cases. Consult with an attorney first. How can I terminate my lease? First, you must provide your landlord with written notice that you will terminate your lease in no less than 14 days unless he makes whatever repairs are necessary. If she does not correct the problem within 14 days of receiving this notice, you may terminate your lease agreement. If you terminate the lease, you must move within the next 30 days otherwise your lease will remain in effect. See sample letter here. If my landlord doesn’t make necessary repairs, can I sue him/her? Yes, but consult with an attorney first. Can I make my landlord pay for the cost of repairing a problem I caused? What if my landlord fails to provide me with an essential service (such as heat, electricity, or running water)? See the page entitled Heat & Other Essential Services. Does my landlord have to repaint my apartment? Not unless the paint is cracking or peeling. Can I sue my landlord if my property is damaged in her apartment? Only if the property was damaged as a result of your landlord’s negligence. Please Note: This information, published by the Legal Assistance Foundation of Chicago and the Metropolitan Tenants Organization as a public service, gives you only a general idea of your rights and responsibilities under the Residential Landlord and Tenant Ordinance and other relevant chapters of Chicago’s Municipal Code. It is meant to inform, but not to advise. Before enforcing your rights, you may want to seek the advice of an attorney who can analyze the facts of your case and apply the law to these facts. Still can’t find the answer? Send us your questions. Please allow several days for a response. In August of 2008 tenants from a building in Englewood called MTO’s Tenants Rights Hotline complaining about egregious conditions including broken security locks, pest infestations, and lack of essential services, like heat. MTO immediately sent organizers out to assess the situation. The Ada-Throop buildings are subsidized by the US Department of Housing and Urban Development (HUD). In addition to confirming the deplorable conditions tenants reported, MTO organizers learned that the building was in foreclosure and that the building’s subsidy was at risk. The Ada-Throop buildings, in many ways, represent the predicament that the foreclosure crisis has caused in many tenants’ lives. The tenants in Ada-Throop lived in quickly deteriorating conditions because the owner was either unwilling or unable to attend to the upkeep of the building, let alone pay the mortgage. Often unresolved repairs are the first sign of a landlord in foreclosure. Because of unacceptable building conditions, there was fear HUD would eliminate the subsidy of the property, and thus everyone would have to move. Foreclosures also put into question the person ‘in charge’ during the court process. The courts, the banks, or the old owner often do not want to invest the needed resources in foreclosure buildings. Fortunately, the tenants worked together with MTO to take back control over their living conditions. The tenants association secured the assistance of the City of Chicago’s Troubled Building Initiative and a court appointed receiver took over management of the buildings. Working with the court appointed management company, tenants continued to organize, heat was restored in the building and conditions were improved. Thanks to the efforts of the Metropolitan Tenants Organization working in conjunction with the Shriver Center, the Community Investment Corporations (CIC) and HUD, these buildings and their affordable housing subsidizes were all preserved. Today, there remain problems and obstacles to overcome in the building. But since the tenants have organized, conditions have improved and new owners will soon be ready to take over the buildings. These new owners are currently looking into securing loans to do rehabilitation work on these affordable subsidized buildings. When an owner falls behind in mortgage payments, foreclosure is the court process by which a bank forces the sale of a building used as security in order to pay off the owner’s debt. In an effort to protect tenants who live in a building that is in foreclosure, the city passed the Keep Chicago Renting Ordinance (KCRO). Under the KCRO, you may be eligible for a lease renewal or $10,600 in relocation assistance. To learn more click HERE. Who owns the building while it is in court? 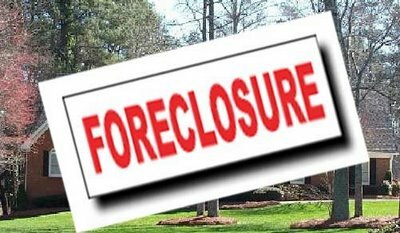 Just because a building is in foreclosure does NOT mean that the building has been foreclosed on or will be foreclosed on. Until the court approves a sale and there is a confirmation of sale, your landlord still owns the building. In most cases, the bank acquires the property and becomes the owner. What are some common signs that my building might be in foreclosure? – The landlord disappears and/or stops collecting rent. How long does the foreclosure process take? The court process takes an average of nine months. If the owner is not able to satisfy the bank’s requirements, the court puts the property up for sale where it is usually bought by the bank. Where can I find out if my building is in foreclosure? 1. Get the PIN # of the property by going to www.cookcountyassessor.com and entering the building address. 2. Enter the PIN # at www.cookrecorder.com or call the Recorder of Deeds at 312-603-5050 and give them your PIN #. If the building is in foreclosure, they can provide you with the foreclosure notice (the “lis pendens”) and the associated foreclosure court case number. 3. For more information about the case go to www.cookcountyclerkofcourt.org or call the Chancery Court, at 312-603-5133. You can also go to http://www.cookcountyclerkofcourt.org – go to online case info – full docket search – and search the chancery division for the landlord’s name under defendant or using the case #. Under the Keep Chicago Renting Ordinance (KCRO), if your building is in foreclosure, you may be eligible for a lease renewal or $10,600 in relocation assistance. To learn more about the KCRO, click HERE. Do I still have to pay rent? Yes. As long as you are living in the unit you must pay rent. Checks or money orders are best so that you have proof of payment. You can still be evicted for nonpayment of rent even though your landlord is in foreclosure. What if I don’t know to whom to pay rent or the landlord stops collecting it? Do I have the right to break my lease because my landlord is in foreclosure? No…however, if you are covered under the Chicago Residential Landlord Tenant Ordinance and did not receive proper notice, please see below under Are landlords required to tell their tenants that their building is in foreclosure? The bank has taken over the building. What do I do? The bank is your new landlord. You must pay them rent once they have notified you as to whom and where to pay, and they are responsible for repairs, any utilities paid by the old landlord, etc. If you are uncertain of who to pay, hold your rent in escrow. Also, check to see if you’re covered by the Keep Chicago Renting Ordinance. You may be eligible for relocation assistance if the bank chooses not to renew your lease. The sheriff posted a notice saying that my landlord or unknown occupants must vacate the building. Does this apply to me? No. If your name is not on the notice, you do not have to move. Immediately contact the sheriff’s office at (312) 603-3365 to inform them that there are tenants in the building and contact an attorney to get legal help. If the sheriff shows up, you will need to show them identification, as well as your lease, a piece of mail, or other evidence proving that you are a tenant in the building and not the landlord. Will I have to move? How much time will I have once a new owner takes over? NOTE: The sheriff’s office can and will evict tenants during the winter, with the exception if it is 15 degrees or snowing. Can the bank or new owner put me out without a court date? No. If anyone tries to evict you before taking you to court, then it is an illegal eviction, also known as a lockout. Call the police, file a police report (get officers name and badge #) and contact the Tenants Rights Hotline at 773-292-4988. If you receive a summons to court make sure to contact an attorney. Will this eviction show on my record? If you were evicted solely because of the foreclosure your attorney can petition the judge to seal the record. If you are evicted for nonpayment of rent, it will be on your record. The bank offered me a “Cash for Keys” deal. What should I do? Sometimes banks offer tenants a cash for keys deal in order to vacate the building more quickly. Evaluate the entire situation first and make sure you have enough time to find a safe and decent apartment. Make sure you get any deal in writing and talk to a lawyer before you sign. If the bank does not offer a settlement feel free to ask for one. However, be aware that many tenants are eligible for $10,600 under the KCRO, which is more than most banks will initially offer. Call us or contact an attorney before agreeing to any “Cash for Keys” deal. If your tenancy is NOT governed by the Chicago Residential Landlord Tenant Ordinance (CRLTO): The bank is not responsible for your deposit. If you do not receive your security deposit back within 45 days of moving you can take your landlord to court. If you know your landlord is in foreclosure court or is about to lose the building ask for written permission to live out your security deposit. If you live out your deposit without permission you can be evicted for non-payment of rent. If your tenancy is CRLTO please see below. A building owned by your employer (assuming your right to live there is conditioned upon you being employed in or around the building). What happens to my security deposit? In the event that the building is lost to foreclosure, the lender is responsible if the landlord fails to return the security deposit. Are landlords required to tell their tenants that their building is in foreclosure? If your tenancy is governed by the CRLTO: The landlord is required to tell current tenants about foreclosure filings within seven days of being served with a foreclosure complaint. The landlord must also inform any potential tenants before they move in. Tenants who were not properly informed about the foreclosure can sue for $200 in damages and/or terminate their leases. Building Inspectors: Call 311 for an inspection if you have repairs that need to be made or are lacking utilities. If you need assistance moving or with a security deposit call 311 and inform them that your landlord is in foreclosure. This letter applies to residents within the city of Chicago only who are covered under the Residential Landlord Tenant Ordinance (RLTO). Please see the Exceptions to the RLTO to ensure the law applies to you.